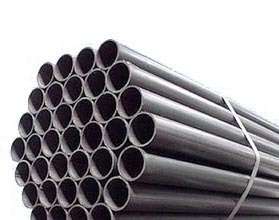 Carbon steel is a noun, used in Engineering or Metallurgy and denotes steel that has carbon-defined characteristics. Steel with a main alloying element carbon, and with properties that are chiefly defined by the present percentage of carbon. Steel is an alloy formed between the union of iron and smaller amounts of carbon. Carbon seems to the most appropriate material for iron to bond with. Carbon works as a strengthening instrument in steel; it further solidifies the structures inherent in iron. By tinkering with the different amounts of carbon present in the alloy, many variables can be adjusted such as density, hardness and malleability. Increasing the level of carbon present will make the steel more structurally delicate, but also harder at the same time. Steel is more or less classified by its inherent carbon content. High-carbon steel is traditionally used for fashioning cutting tools and dies because one of its distinguishing features is great hardness. Steel with a lower to medium level of carbon will typically be reserved for metal sheeting for use in construction, due to its increased hardness and malleability.